The 2nd Corfu Classic Yacht Race, organized by the Sailing Club of Corfu with the support of the Yacht Club of Greece and the successful team of the Spetses Classic Yacht Regatta took place between 5-7 June in the beautiful, crystal waters of Corfu. The great success of the Corfu Classic Yacht Race (CCYR) 2015 marks the race as one of the most important athletic events in the Ionian and Adriatic Sea. The beautiful Classic Boats, Spirit of Tradition and Contemporary Classic boats offered unique moments during the races held on Saturday 6th and Sunday 7th June with a view of the Old Fortress and the beautiful city of Corfu. The wonderful small lateens as well as the Traditional boats competed on the 2nd day of the race. Among the legendary boats that took part was the Gipsy Moth III, the 16 meter Ketch, on which Sir Francis Chichester travelled around the world and in his 2nd appearance he took the second place in the Classic Boats category. The gem of the Corfu Sailing Club, ALEXANDRA, designed by Sparkman and Stephen skippered by the President of the Club, Ioannis Maroulakis, finished first on both days. Eleftehrios Moraitis’ “Seirina tou Ioniou” came third. In the lateens category the first place was won by Kyknos skippered by Gerasimos Foteinatos, while his crew received the award of Best Appearance. In the newly established Schooner category, first prize was won by the Escapade crew led by Chatin Bernard. Corfu’s great civilization and remarkable naval tradition became the gateway to one the most important sailing summers in Greece. 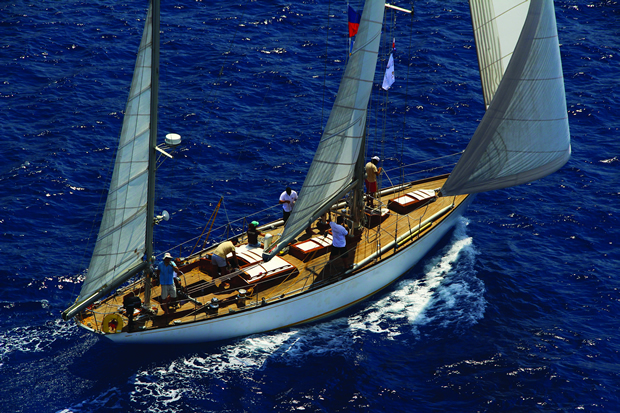 The 2nd CCYR was the starting point for the 1st Classic and Traditional Boat Circuit. 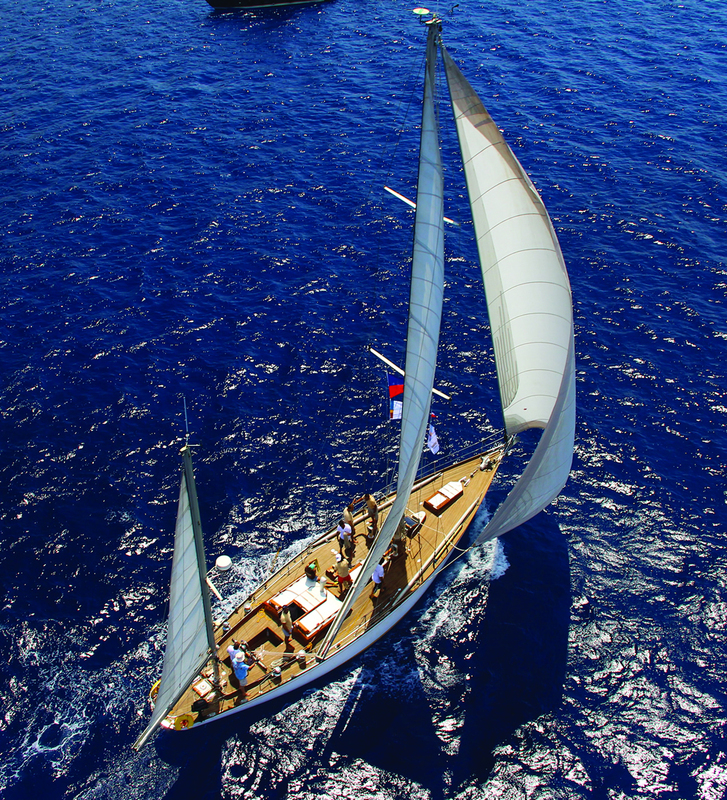 The race was followed by a voyage, aimed at the discovery of the tourist and cultural treasures of western Greece, concluding at the highly anticipated Spetses Classic Yacht Regatta (18-21 June). The series will end in the capital of the Cyclades, Syros, 25-27 June! The Marbella Corfu Hotel, Hospitality Sponsor of the CCYR offered a wonderful view during the races, carrying visitors and guests in the heart of the race in a speedboat. Vasilis Drakopoulos CEO of Marbella Corfu Hotel said: “Our visitors enjoy high quality services and unique views from the beautiful island of Corfu. The Corfu Classic Yacht Race offered some very special moments and an unforgettable hospitality experience at the Marbella Corfu Hotel”. The Supporters of the CCYR 2015 were Salty Bag, a company that creates bags from decommissioned sails and offers top quality and high resistance bags to the participants, EPSA, which offered refreshing soft drinks in the collectible bottles for the company’s 90 year anniversary, the traditional activities & events space, Ambelonas and the valuable sun-creams, offered by La Roche-Posay. The Official Timekeeper of the race was the Swiss watch manufacturers of haute horlogerie, IWC Schlaffhausen, with the renewed series, Portugieser.